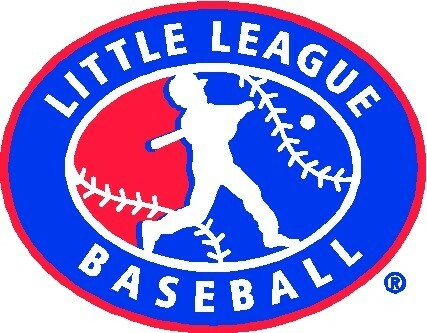 Updated Friday April 19, 2019 by Franklin Little League. The following is the adopted rules of the Franklin Little League - Rookie Baseball Division. These rules will be in place for all regular-season games played at the Franklin Little League Complex. A team can have up to three (3) FLL approved manager/coaches on the field while on offense. This includes the manager acting as the Pitcher, a base coach at first base and a base coach at third base/ dugout area. Base coaches are optional and not required. One coach is required to be by the dugout anytime there is at least one athlete in the dugout. The team manager (or coach if manager designates) will handle the pitching for their own team. A continuous batting order will be used throughout the game. A player arriving late will be inserted after the last batter listed on the lineup card. There are no substitutions allowed. A half inning ends when: Three (3) outs are made, five (5) runs are scored or the offensive team has batted through the order once – whichever comes first. A team can have one (1) FLL approved coach in the outfield while on defense the first 4 weeks of the official season to offer guidance. If the coach interferes with the ball in any way the hitter will automatically advance one (1) base without peril. If that advance forces another player to advance they will do so without peril. The Rookie Baseball Division VP reserves the right to extend this rule based on feedback from the managers. All fielders will be used if available. You need a minimum of nine (9) to play. If you feel you may not have the required nine (9) players please contact the Rookie Baseball Division Director for guidance ahead of time. We do not forfeit games. The team defensive pitcher (position) is not allowed to start the play ahead of the front leg of the Coach Pitcher. The pitcher may start on either side of the Coach Pitcher but there is no charging the batter. The first (1st) baseman, second (2nd) baseman and third (3rd) baseman cannot be any closer than six (6) feet in front of their respective base towards home plate. Outfielders must play either in or at the grass line and not on the infield. Unless in play, the catcher should throw the ball to the team pitcher who will than hand the ball to the manager to use in the pitching machine. As a courtesy to the batting team the defensive team should wait until the batter leaves home plate on a strike out before exiting the field. A hitter will be awarded second base on an outfield fly that is not caught without peril. For clarity purposes, an outfield fly is defined as a batted ball that hits the grass edging or beyond. Except for above, a runner may not advance after an outfield ball is thrown to an infielder. If a runner is in between bases they must decide to advance to the next base with the risk of peril or retreat to the previous base. Only one base advancement is allowed on an overthrown ball (with peril). This rule will take effect towards the middle of the season. We will begin the season with no advancement on overthrows. A batted ball that hits the Coach Pitcher will be considered a dead ball. Base runners will be allowed to advance one base without peril. There is no base stealing of any kind. There is no lead off allowed. There is no pinch hitting allowed. The infield fly rule does not apply in the FLL Rookie Baseball Division. Sliding is allowed – but only for just cause. Sliding MUST be feet first. All players should be rotated both infield and outfield during each game. No player should sit more than one (1) inning a game. Please utilize www.FreeBaseballLineups.com to make play time even. Unofficial scores will be kept for the purpose of keeping the game moving forward. However, there will be no official Win/Loss record or team standing in the Rookie Baseball Division. We have a hard stop of play at 1:15 hours or 6 innings – whichever comes first. If the hard stop is time constrictive the batter may finish at-bat. If the last batter scores the winning run or is the third out, the final score will be after that batter's at-bat. If the last batter does not score the winning run or is not the third out, the final score will stand as of the time. Rainout games will not be rescheduled if the teams complete the third inning or further before the game is called. If your scheduled game is rained out please contact the Rookie Baseball Division VP to reschedule if possible. Any unique circumstances must be discussed and mutually agreed upon during the managers meeting at home plate prior to the start of the game. Core rules should not be altered in any way in the interest of consistency and fairness amongst games. The expected guidance is the rules stand unless there is a unique circumstance. Please be respectful and conduct yourself in a way that positively promotes Franklin Little League’s program and supports the experience of all athletes. After the game please promptly clean up your dugout and ensure the field is available for the next team to use on time. If you are the last game of the evening, kindly re-tarp the field with the tarp and stakes provided in the dugouts.